Researchers have found that a key protein in aspirin may help pulverize an enzyme linked to neurodegenerative conditions like Alzheimer’s, Parkinson’s and Huntington’s diseases – suggesting that taking the common drug may help reduce American’s disease risk. In their research, published this week in the journal PLOS One, study authors at Johns Hopkins University and Boyce Thompson Institute discovered that salicylic acid, a byproduct of aspirin, binds to the enzyme GAPDH (Glyceraldehyde 3-Phosphate Dehydrogenase), preventing it from moving into a cell’s nucleus where it would cause cell death. During oxidative stress, GAPHD is affected than enters the nucleus of neurons, where it affects protein turnover and leads to cell death, causing neurodegenerative loss. The anti-Parkinson’s drug Deprenyl [inhibits] GAPDH entry into the nucleus. “The new study establishes that GAPDH is a target for salicylate drugs related to aspirin, and hence may be relevant to the therapeutic actions of such drugs,” co-author Solomon Synder, professor of neuroscience at Johns Hopkins University in Baltimore, said in the release. In the current study, scientists also observed that a natural derivative of salicylic acid from the Chinese medical herb licorice and a lab-synthesized derivative bind to GAPDH more effectively than salicylic acid. This study hit several news outlets on December 1st. On Facebook, many people were touting the benefits of taking aspirin. Unfortunately, the information from this study has been misconstrued. Let’s start with some history – Bayer began making aspirin well over a 100 years ago, trying to mimic the apparent benefits of White Willow Bark. Salicylic acid (SA) is a major component of White Willow Bark, so Bayer took acetone (nail polish remover) and combined it with citric acid (from citrus fruits) to make acetyl salicylic acid. 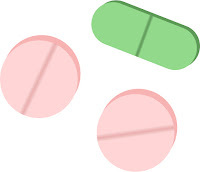 In the 1990’s, when the pathways for COX-1 and COX-2 inhibition of eicosanoids was discovered for NSAIDs, like Advil, it was also discovered that it was the acetyl group in aspirin that blocked these inflammatory pathways, not the salicylic acid. In other words, the nail polish remover is the anti-inflammatory compound not the SA. I reviewed the original study on PLOS one. The authors note that SA is a common plant chemical and is a key regulator of multiple levels of plant immunity. It probably does account for many of aspirin’s other chemical reactions in the body that other NSAIDS do not create. GAPDH has a central role in glycolysis, the anaerobic energy production process in every cell in the body. It is only under oxidative stress that it becomes altered and participates in pathological processes, like viral replication and neuronal cell death. The real issue is to stop oxidative stress that impairs glycolysis rather than impede GAPDH from entering the cell nucleus where it wreaks havoc. Salicylic acid is best taken in the form of White Willow Bark, licorice or other plants, not in the form of aspirin where it is bound to nail polish remover. Daily low dose aspirin use should still be reserved for those who have already suffered a heart attack. Otherwise, the risks far outweigh any potential benefit.